How could we not report on a new find that we experienced together? But now you’ll have a greater chance to meet Vivian in your neck of the woods! So glad to be back amongst PPBF friends! Thanks, Susanna! I LOVE this book! I can’t stop looking at it. The illustrations are just so beautiful. I love Mr. Tiger’s expressions. And you tiger gals ain’t bad, either! RAWR! Sleek and stylin, they are! I’ve been told that you can’t trust a tiger. You never know when they might be lion. But I’d welcome Mr. Tiger into my home if I were lucky enough to win your first draw! 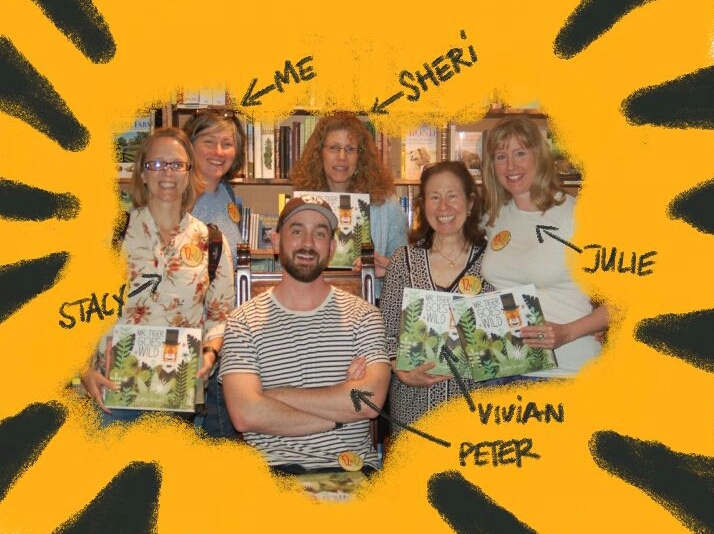 Great review, and SO jealous of your uber-fun Peter Brown encounter, wild CO gals! I have been wanting this one. You picked a great book. And I’m just so green-eyed (and it ain’t my hazel eyes) that you all got to meet and get a pic with him. Great activities! The MINPINS is soooooooo good! Keep your hand up then! Hahahaha! This sounds like just the right kind of book for boys who are planning on running away because they are too wild for their moms. I am for any book that builds self esteem and this book sounds just right. There were two https in the url – not that I can change that – oh, well! I love the Minpins, it is fab that Roald Dahl has a day. You are so creative having a matching background for Mr. Tiger Goes Wild which sounds awesome! I cannot wait for our library to get this book. It looks fantastic. So awesome you got to me Peter. I was more excited to meet Vivian! I miss little wild boys – at least mine still says good night with a kiss! This certainly was a popular book today! I would love to win a copy! The illustrations and text sound wonderful! And, it especially looks like a book you’d choose Julie, just looking at the cover. Glad you found me! Yes – we were all there together, now I wonder if the other two chose this to review today! Just read it a B&N today. Fantastic book. Lions and tigers are a big hit in our house. 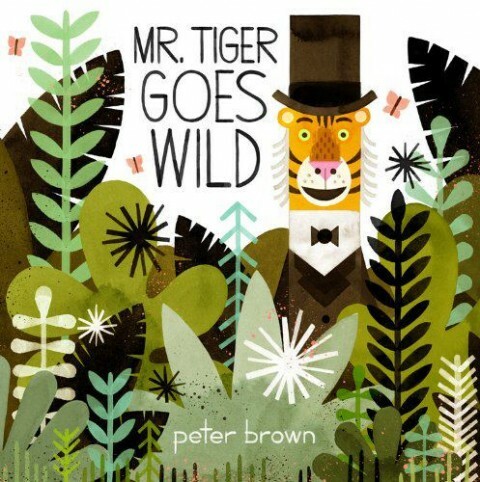 Thanks to ALA my 3-year-old has a Mr. Tiger Goes Wild poster hanging on his wall, which of course, he loves. Congrats on the first giveaway Julie! Thanks, inspired by the generosity of people like you Shannon! I”m with the reader me … love. need … I mean want. Looks AmAzInG! Please add my name to the hat. I haven’t read it yet, but I dig the art style. I dig that you dig! It sounds like a great book, but I”m most envious of you getting to meet Other Julie, Vivian, and Stacy! I am a new collector of 12x-hugs! They’re GRRReat! I love this post, Julie. This book sounds like a must-have. The pairings are great too. Fun picture of you and the gals– Peter Brown looks very happy! Pairings are fun! I may do this more often! And of course PB looks happy – who wouldn’t surrounded by 12xers! Awwww… not fair, you all get to meet way over there. 🙂 Love, love, love this. I missed the start of PPBF, but will be in next week for sure. I love that picture! I wish we all could’ve flown to Denver:) Peter Brown shared a bit of the book at the NJSCBWI, and it looks like it’s going to be a new fave. The world could use a good mid-life crisis picture book! I love that, mid-life crisis PB! Hahaha! A lot going on today! Or Friday, as I’m behind and now it’s Sunday! 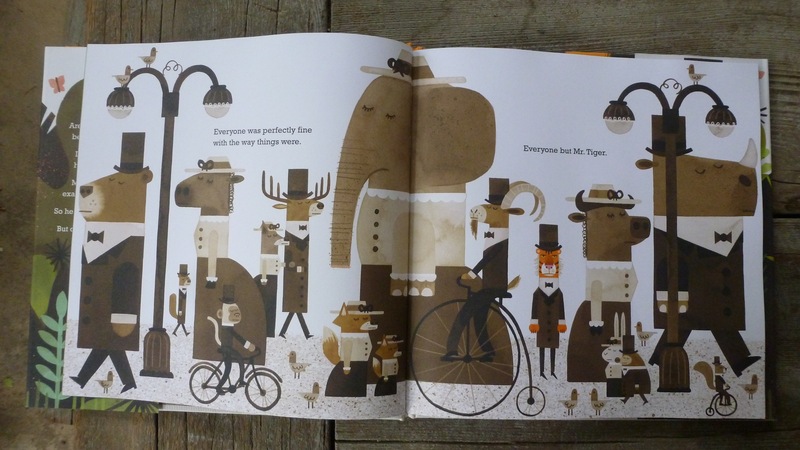 I love love Peter Brown! I’ve been on the lookout for this one. I would sure like to lick his face in person! I hope you get to do that one day, Rhythm! Two awesome reviews of Tiger Goes Wild at PPBF today! AND a chance to win! yay! This looks like such a fun book. Ever since seeing “Life of Pi” I have a hard time imagining a tiger in a top hat and being anything BUT wild. The CGI was incredible! I believe it carried the film – would not have worked without the dedication of those artists! Yes, what ARE they thinking?! Looks like some grrrrrrrreat reads (sorry, couldn’t resist). What a wonderful time it looks like you had at the book tour too. Thanks for sharing the spoils. I wonder if any younger kids know Toy the Tiger, I miss aot not having tv reception. 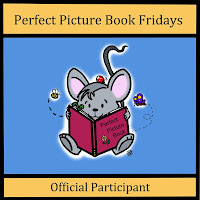 Looks like a great picture book. The illustrations are fabulous. Good luck in the draw – I’ll post the winner on Friday! 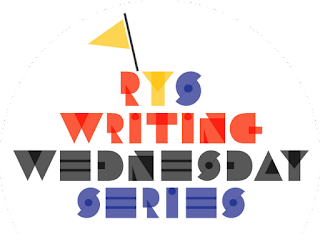 You shocked me with this line which I had to read TWICE: “I can’t believe I didn’t ask if he too stripped himself – of the confines – and ran for the woods!” Oh pregnant pauses… I’m always happy to look or read something you’ve created. Nice posting Julie. Haha! Thanks, Lori! I may be from NY, but I do care if my odd humor reaches someone! Just a little Long Island girl myself! Where? Born and bread Islander myself! Wantagh! I can’t wait to read this! Love his work. Glad you stopped by – sorry I didn’t have a cup of hot tea waiting! I got to hear his editor talk about it before it was in print, and we got a sneak peak. Awesome book. I’d love a copy. And an autographed copy would make me the happiest girl in the whole universe! 🙂 Thanks for sharing! I may come close to the happiest in an hour, Debbie: on my way to see a classic on the big screen with my all time favorite opening credits: To Kill a Mockingbird. Thanks for popping in, Ashley. Hi Mary! The textures are really neat too. Want it. Need it. My kids will love it. Another concise statement. Much appreciated! 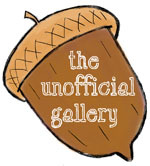 Okeedokee, I’ll put my name in the hat! Would make a lovely gift after I read it. Thanks for participating, Miss D! I’s love to win this book!!! It seems to be a really illustrative book, I’d love to buy it anyway even if I don’t win (but I would like to win 😉 )! The photo is great! Love that you included it. I’m sure this book is wonderful. I love all of his books! I have a Peter Brown story. He was actually at our family (my husband’s family…his girlfriend is the daughter of my sister-in-law’s friends) Thanksgiving a few years ago…when I first started writing! I have to say meeting him was one of the things that inspired me to go for this. I was sitting across from someone who had actually been published…now that’s inspiring! This was right when Children Make Terrible Pets had just come out. I sent him a note just yesterday thanking him for the inspiration. I’m not sure he’ll remember me. I pretty much sat and stared LOL! Neato – it’s funny how different moments ‘give us permission’. One day you will have done that for someone else; remind your dinner guests of that sometime! I would love a signed copy of this book!! It’s gorgeous. I saw Peter Brown at NJSCBWI, he is fantastic. I even got a chance to see the centerfold which totally cracked me up. I think my daughter might like that title! PB-Goddess! This sounds great – I can’t wait to read this book. Hopefully it will be the one I win from you! Starting to wish I had more to give away! Where have I been all this time while you were blogging? I have some catching up to do. 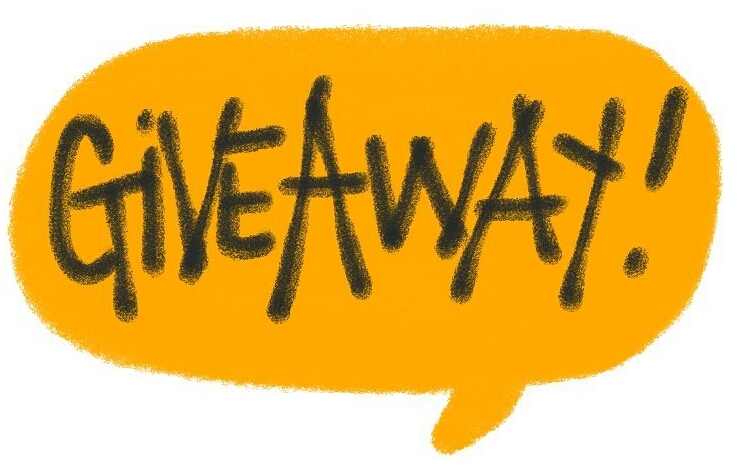 Book giveaways and smart talk? What not to love? Thanks to Susanna Leonard Hill – she is The Prodder! She can get me to try just about anything! Hey, no favorites! Even if you are one!